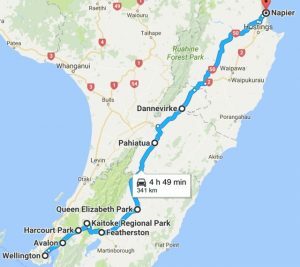 This route between Hawke’s Bay and Wellington has so many playgrounds and parks to choose from that it’s only a case of when and how often you choose to stop that might help you decide which to go to. If the weather isn’t really good enough for an outdoor activity, there are some rainy day options mentioned below too. It’s a longer route than via the Kapiti Coast but generally at peak times like over Christmas, the traffic tends to keep moving. 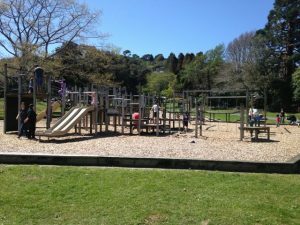 There are 3 very good playgrounds within the Wellington region if you need to tire the kids out before you get into your journey (or have a run around towards the end, if coming in the other direction). All have a good range of equipment that would suit both younger and older kids. Avalon playground in Lower Hutt also has a skatepark and mini road system. Maidstone Max in Upper Hutt is off the SH2 but quite a short detour in terms of kilometres and also has a skatepark which is in view of parts of the playground if you’ve got kids at both. At Harcourt Park, also in Upper Hutt there’s a paddling pool during the summer months and lots of space for running around, ball games etc free bbqs and also a mini road system. There are lots of walks which you can do in Kaitoke Regional Park from a short 20 minute easy loop to much longer, over night options. All are easily accessible from the camping ground area. Both this and Harcourt park make good stopping places if your child(ren) aren’t feeling well on a southbound journey after the twists and turns of the Rimutaka Hill Road. Going the other way, Featherston has a small playground and skatepark (on the opposite side of the road) and a public toilet if you need some air. There’s also Everest Cafe on the main highway in Featherston which sells scoop ice-cream as well as baked goods and a full menu. There are plenty of cafés and playgrounds through the Wairarapa to stop off at. Including many on the main road in Greytown, so no detours needed, just a question of getting a parking spot. The playground at Carterton is a decent size and again, right on the highway. 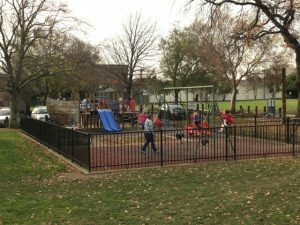 There’s an enclosed preschooler area, equipment for older kids, including gym/training equipment around the grass fields, a skatepark, a basketball court and toilets onsite. Just north of Carterton is the Clareville Café which, so long as it’s not a Sunday, (when it’s closed), serves great food with indoor (small) and outdoor kids’ spaces. 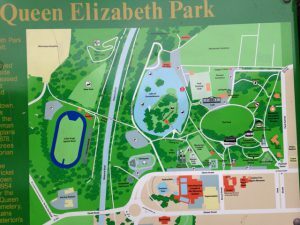 The largest playground in the area is at Queen Elizabeth Park in Masterton with lots to do in addition to playground equipment – paddle boats on the lake in summer, mini golf, deer to feed to name but a few. There’s lots of space and huge old trees for shade. There’s also the indoor option of the swimming pool, opposite the park (note there’s actually an indoor and outdoor pool here). You could spend a whole day between these 2 places, so be selective if you’re only planning to stop for a limited time! 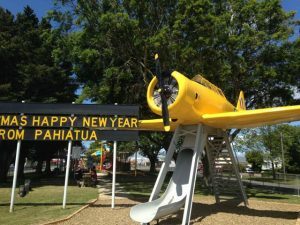 Further north in Pahiatua is the playground with the commonly photographed yellow plane that has a slide shooting out of it. Again, right on the highway, you can’t miss this place and it has some really different equipment for a range of ages. There are toilets for little people onsite. Approximately halfway between Wellington and Hawkes Bay (depending on where you’re going), is Woodville. Another town with another good playground, albeit one block back from the main drag between Ross Street and Pollen St.
Just near the Hawkes Bay border, Dannevirke has a viking themed playground with a big ship as a centre piece of equipment. You could also check to see if Fantasy Cave is open (very restricted hours so best to phone ahead) as an indoor, quirky option that kids seem to love. Depending on where you’re heading to/starting your journey from in Hawke’s Bay, there’s a splash pad and bike track at Russell Park in Waipukurau right next to a playground and big grassy area. There are also lots of options in Hastings and Napier on SH2 itself like the Marine playground and pump track if you’ve got wheels with you. Check the website for ideas in both cities here.